So at the moment I’m in the middle of trying to plan a ski holiday at the end of January to celebrate the end of my exams but after having a look around at some ski packages in some of the more luxuries resorts like Chamoinx or locations in the Swiss alps such as Zermatt or Verbier, I knew there was no way in hell I could even afford the cheapest of deals on a students budget! So after doing some research I found some reasonably priced resorts that will defiantly allow you to do a ski holiday on the cheap. First up we have Livigno, Italy, ‘High altitude, low prices’ is a phrase that every passionate skier or boarder likes to hear and duty-free Livigno near the Swiss border delivers both. 115km of pistes are set out on the Costaccia/Carosello sides of the valley with 38 percent blue, 47 percent red and 15 percent black runs. There’s a large choice of beginner slopes, a free-ride zone and when conditions are good, you can ski back to the village.This place is a perfect spot for anyone looking for reasonable priced accommodation and ski passes along with lively bars and clubs, after being named one of the best ski resorts in Europe for après-ski activities and nightlife, Livigno has become very popular among the younger ski crowd. Vogel is in the Julian Alps, the most easterly point of the main European range.This area really is a beautiful ski destination with incredible scenery ideal for couples or families. Vogel ski resort is located in Triglav national park which over looks the stunning lake Bohinj. The terrain up in mountains is mainly treeless ideal for off-piste ski exploration. In your looking for nightlife Vogel may not be the best option for you as it is fairly low-key, but with the city of Ljubljana within an hours drive away, a night out in the capital is defiantly doable. Flights: €64 euro to Ljubljana return ( short stopover in London) or else pay €204 for direct flight from Dublin. 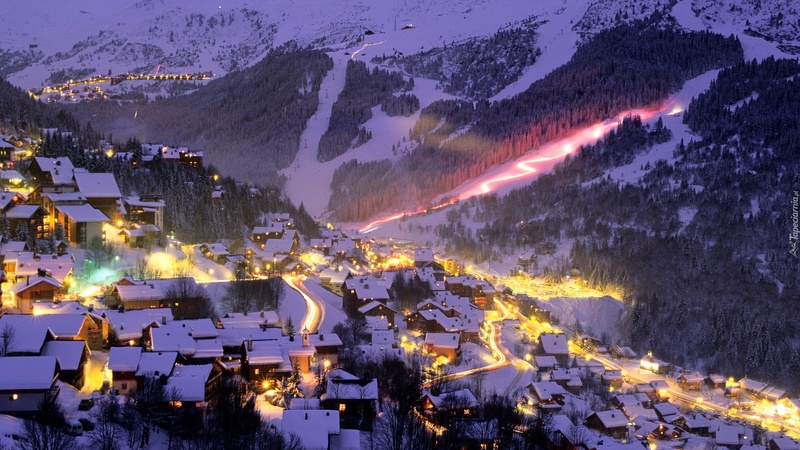 6 Day ski pass: €140 euro. Jasna is the biggest ski resort Slovakia has to offer its also its best.Situation in Low Tatras National Park, mountains here rise to an altitude of 2,024 m and an impressive 1000 m vertical drop. Jasna is divided into four different resorts which in all offer 29 km worth of trails – 21 km of them in the north and 8 km in the south of Chopok, catering to all difficulty levels, which are guaranteed to satisfy everyone , 28% of the tracks are blue, 46% red and 26% black. There is also 2 km of illuminated tracks which offers night skiing aswell. Jasna is one of Europe’s most underrated ski zones with guaranteed snow for five months of the year, people of all ski abilities could easily spend a week here. A cheapest in Europe list would not be complete without a mention of Poland, so next on our list we have Zakopane which lies in the southern part of Poland at the border of Slovakia and is approx. 90 km away from Krakow. Zakopane doesn’t have one large ski area but rather several smaller ski areas dotted around the pretty 19th century town. None of which host the most challenging of slopes but if you’re a beginner and like Vodka you’ll probably fit right in. 😉 With beer averaging around €1.40 you’re guaranteed to have a good time without breaking the bank!